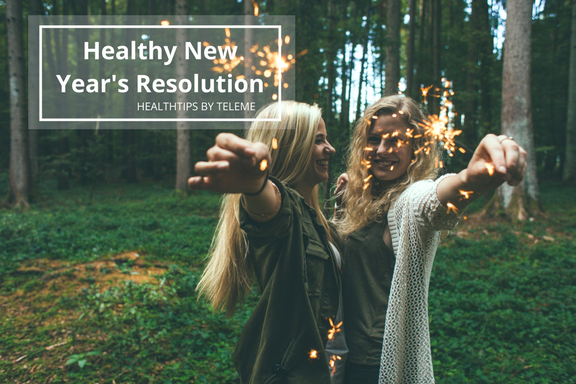 Psst.. check out our pick on top 5 healthiest new year’s resolution. With 2018 coming to an end, making too many new year’s resolutions might be difficult to accomplish. Try to focus on simple and healthy resolutions. Pretty sure you can achieve at least one resolution from the list below, now go for it! This resolution tops everyone’s list every year. Are you guilty of it too? Now that the holiday season will be over soon, it’s time to eat clean after a month-long of binge eating with family and friends. Party is over! Time to hit the gym. Learn more on ‘How much should we exercise daily’ here and ‘Part 1 of what is your body type and how to lose weight’ here and ‘Part 2 of what is your body type and how to lose weight’ here. Cut down on caffeine, alcohol or unhealthy fizzy drinks. 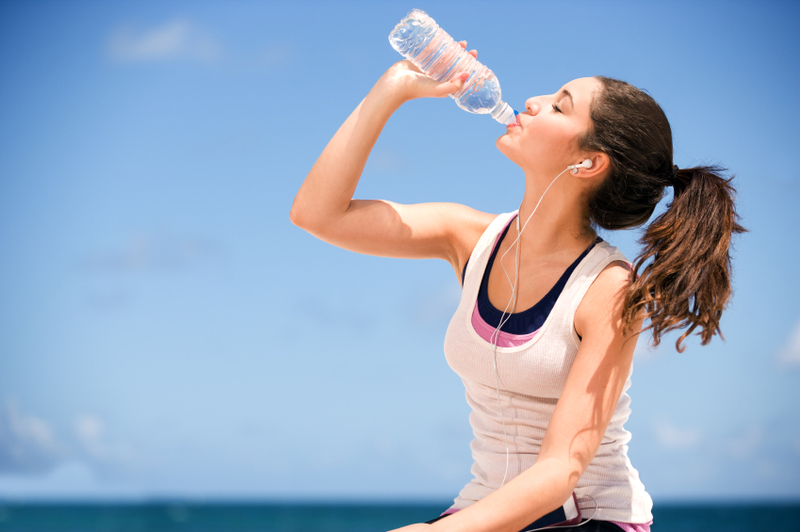 It’s important to stay hydrated throughout the day and you’ll see major improvement on your skin! It’s recommended to drink at least eight 8-ounce glasses which is equal to 2 litres. 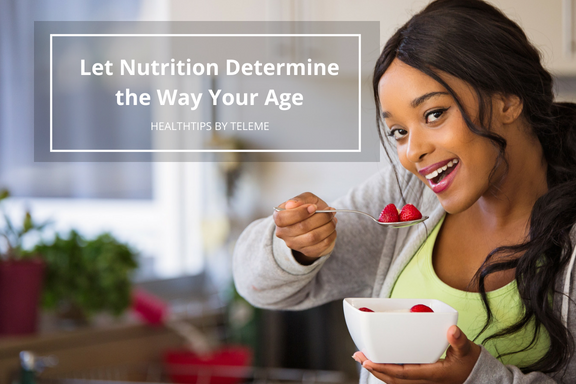 Learn more about healthy eating ‘Let nutrition determine the way you age’ here and ‘Bad calories, good calories – know the difference’ here. This resolution was in your list last year? Try again and never fear to fail! Identify your triggers and patterns to overcome it. 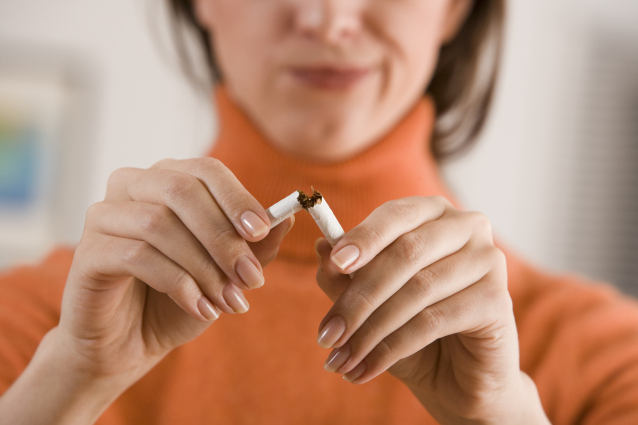 If you tend to smoke due to peer pressure or social circle (it’s hard to avoid when your family, friends or co-workers smoke as well), let them know that you can’t join them for smoking break session anymore. Try to go for healthier routines such as taking a break with non-smokers or go for a short gym session during your break. 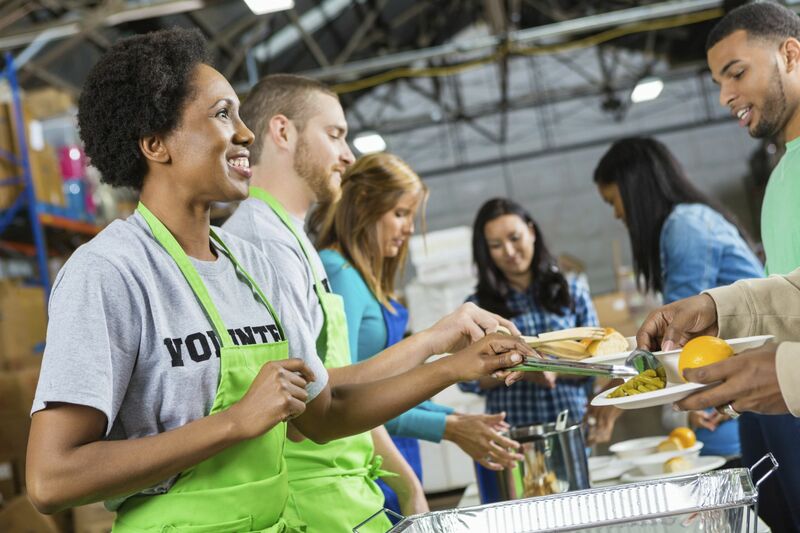 Volunteering benefits yourself and others. You’ll get the feel good factor and increased happiness by helping other people. You can also meet new friends and create an opportunity for a social change. Besides meeting new people, you’ll also get to learn new skills or info from volunteering work. Learn more about ‘Healthy Aging’ here. Be it a short trip or a long trip, try to plan for a trip twice a year. It doesn’t have to be an expensive, luxury trip. Discovering new places or countries can be exciting and intriguing. A trip is always something you’ll look forward to everyday and you’ll feel refreshed and rejuvenated after a trip! 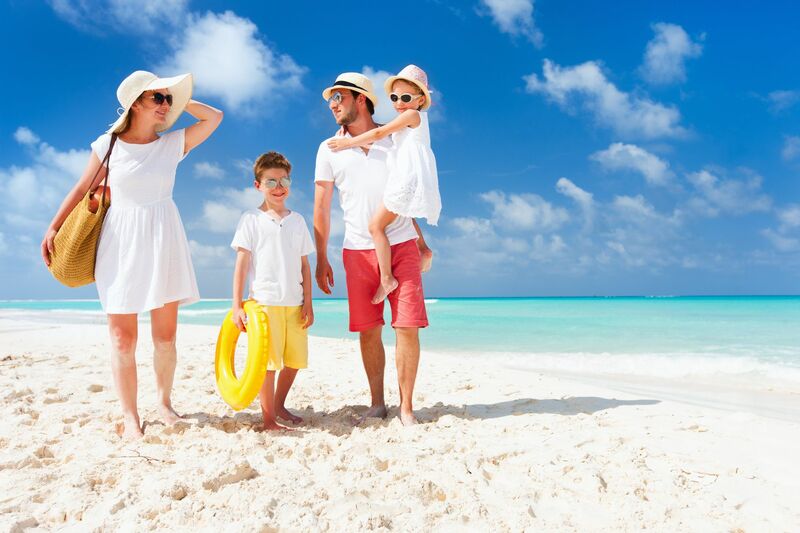 Learn more about ‘Healthcare checklist before you travel abroad’ here. The WHO definition of ‘Healthy Ageing’ is ‘the process of developing and maintaining the functional ability that enables wellbeing in older age’. Healthy ageing means maintaining a healthy weight by having a healthy lifestyle involving good nutrition and regular exercise. Body mass index (BMI) is a measure of body fat (whether you are fat or thin) based on height and weight. It allows health professionals to discuss weight problems more objectively with their patients. Your BMI classifies you into one of several categories namely from underweight to obese. 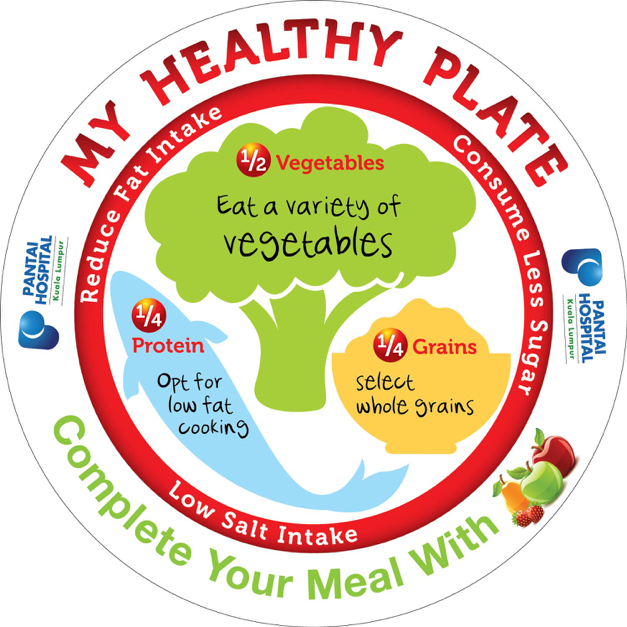 It is quite easy to follow the general principles at home by following the Healthy Plate Guide. Half the plate should consist of vegetables, a quarter is protein and a quarter is grains. Gradually reduce fat, salt and sugar intake with each meal. 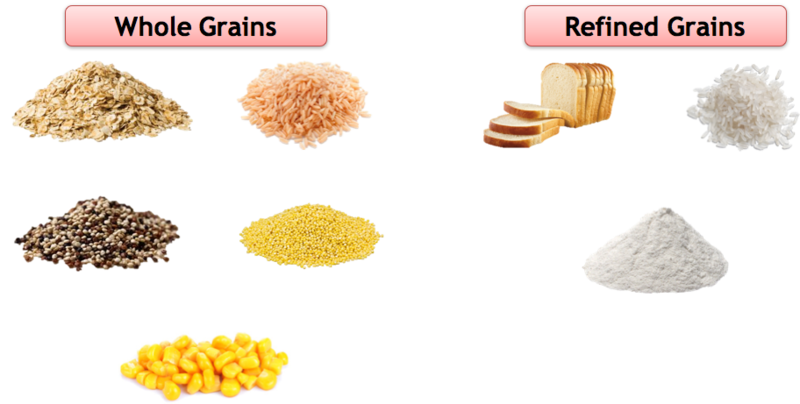 Grains: The amount of grains eaten should fit in your palm. Try to opt for whole grains rather than refined grains as they are rich in fibre and anti-oxidants such as vitamins B & E which appear to be protective against heart disease. Proteins such as fish, poultry or meat should fit the size of your palm. There are many sources of proteins and the American Heart Association recommends eating fish (especially fatty fish) twice a week. 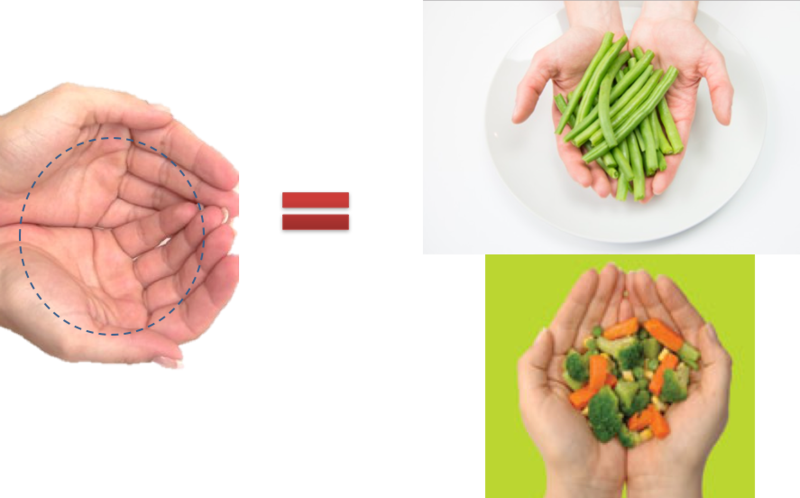 Vegetables should account for half your plate and should fit into both hands. Practice eating 2 servings of fruits and 3 servings of vegetables everyday as they are a rich source of vitamins and fibre (which can reduce constipation and reduce fat absorption). 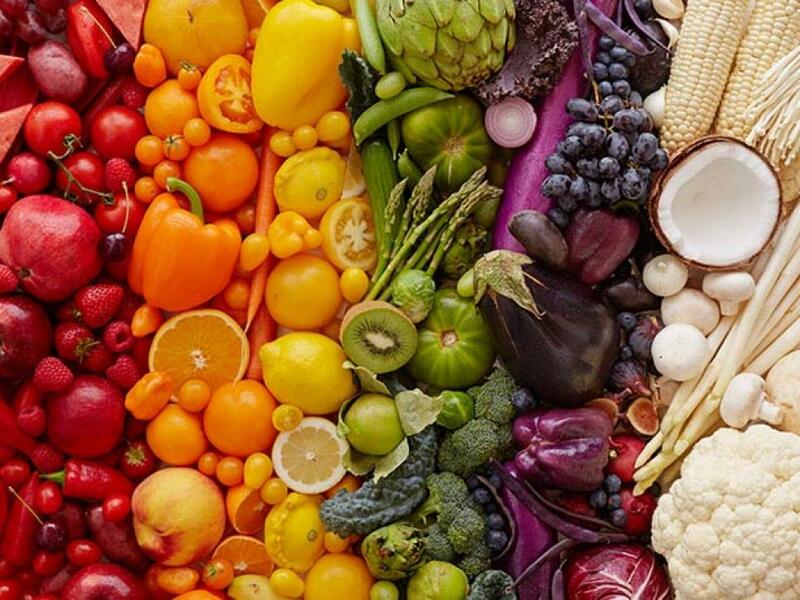 Vegetables and fruits with colour contain phytonutrients which are rich in anti-oxidants and anti-inflammatory properties. Our bone mass peaks by the age of 30 years old and as we age after that, our bone density gets less resulting in osteoporosis. Calcium and Vitamin D are 2 important components required for bone growth. The daily requirement for calcium is higher for older women especially after menopause. What are the sources of calcium? The daily requirement for Vitamin D is the same for male and female. 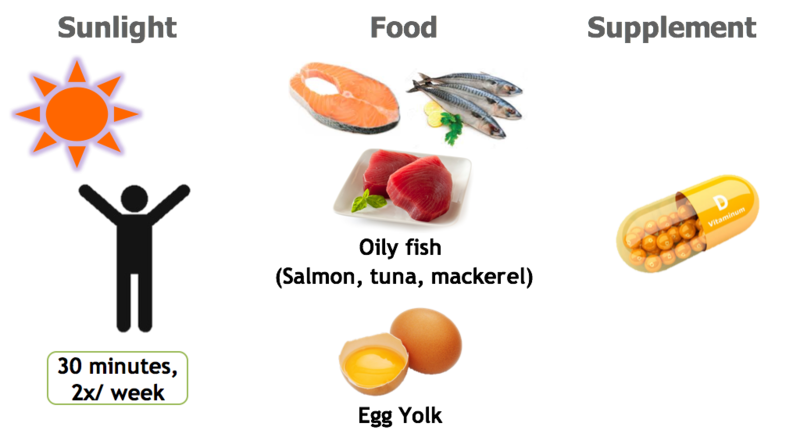 What are the sources of Vitamin D? There are other essential nutrients such as magnesium and zinc which are necessary whereas sodium (salt) should be reduced in our diet as it can cause high blood pressure (hypertension). This is a guide only. It is recommended to be advised together with a certified dietician/nutritionist based on your health conditions. 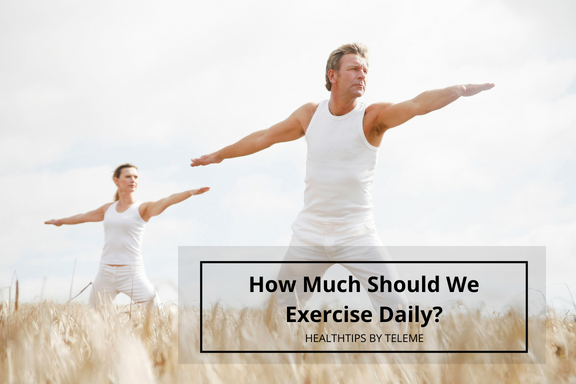 HOW MUCH SHOULD WE EXERCISE DAILY? For normal healthy people, the general recommendation is for at least 30 minutes of physical activity every day. 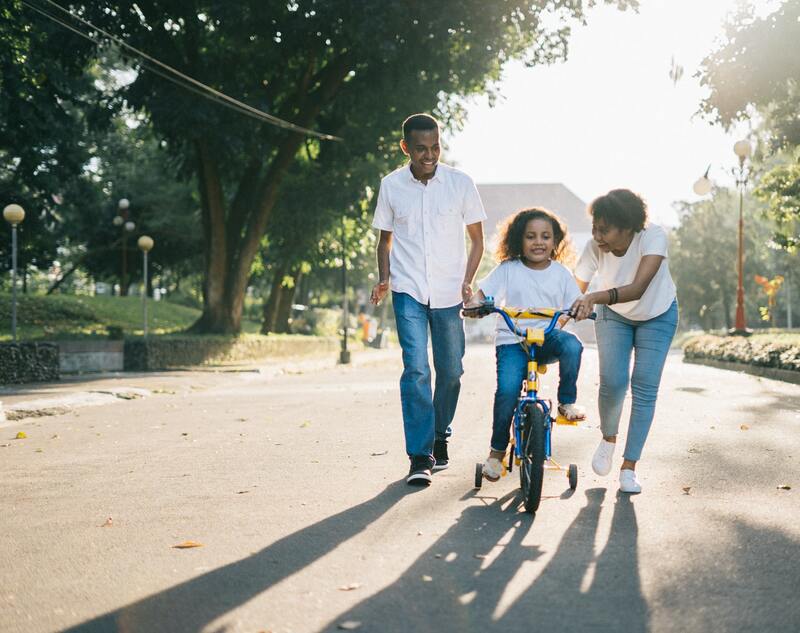 Regular aerobic activity, such as walking, bicycling or swimming, can help you live longer and healthier. If you want to lose weight or meet specific fitness goals, you may need to exercise more. You do not need to do all the exercises in one session. For example, if you can’t fit in one session of a 30-minute walk, try doing three 10-minute walks instead. The most important objective is to make regular physical activity part of your lifestyle. Start at your own pace and gradually increase the pace and duration as your fitness level improves. Try to avoid long periods of sitting. Most people give up after a short period of time because of the lack of motivation. These are some tips to improve your compliance by making exercise less boring. An average person walks around 3,000 to 4,000 steps a day (around 1.5 to 2km). Try to aim for 10,000 steps which can help maintain a good level of fitness in your body. 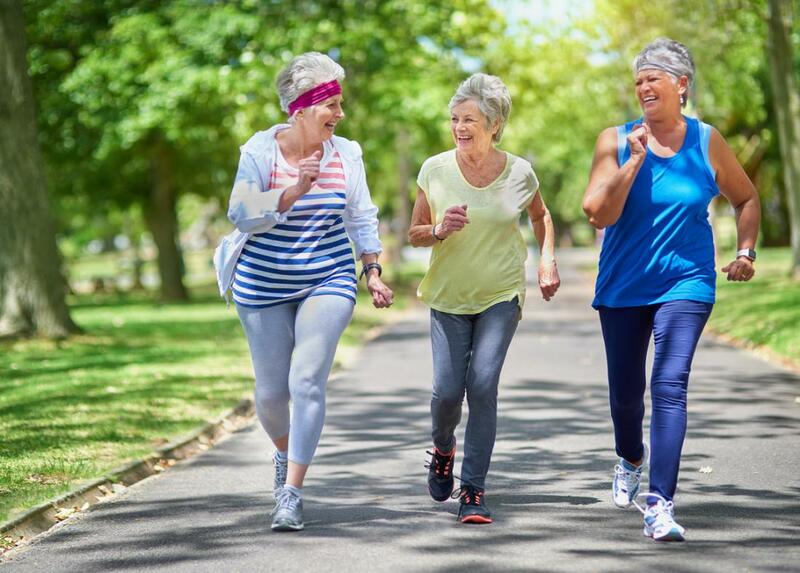 WHO recommends that anyone regardless of age should do moderate exercise between 150 to 300 minutes per week or 75 minutes of vigorous exercise per week. How does your body respond to exercise? Exercise involves movements of large muscles in your arms, legs and hips which causes you to breathe faster and more deeply to increase the amount of oxygen in your blood. In response, your heart will beat faster to pump more blood to your muscles where oxygen will be delivered and waste products such as carbon dioxide and lactic acid are removed. The more you exercise, the more efficient this process becomes and your stamina will improve. How does exercise improve your health? Exercise keeps muscles strong and prevent wasting (atrophy) which helps maintain mobility as you get older. Weight-bearing exercises such as skipping or running reduces the risk of osteoporosis. Astronauts suffer from osteoporosis after being in space due to the lack of exercise. Aerobic activity that increases a person’s heart rate and breathing to some extent. On a scale relative to a person’s capacity, moderate-intensity activity is usually a 5 or 6 on a 0 to 10 scale. Examples include brisk walking, dancing, swimming, or bicycling on a level terrain. 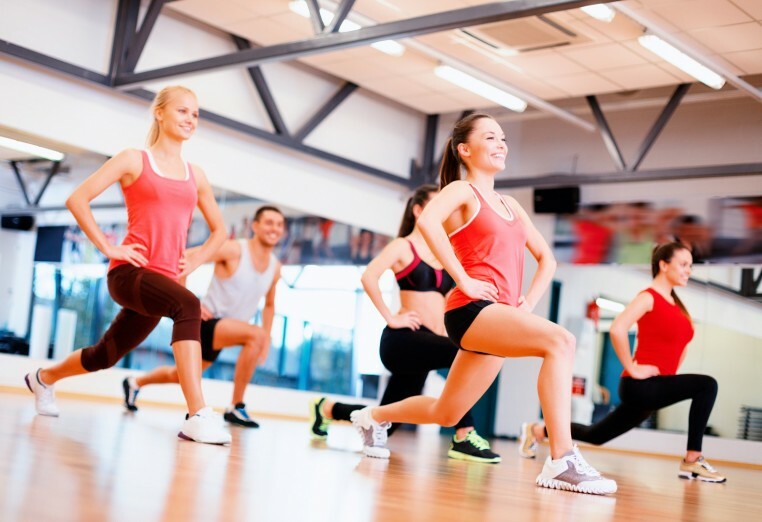 Aerobic activity that greatly increases a person’s heart rate and breathing. On a scale relative to a person’s capacity, vigorous-intensity activity is usually a 7 or 8 on a 0 to 10 scale. Examples include jogging, singles tennis, swimming continuous laps, or bicycling uphill. Physical activity, including exercise that increases skeletal muscle strength, power, endurance, and mass. Examples include strength training, resistance training, and muscular strength and endurance exercises. Do single set of exercises enough to tire your muscles which should be around between 12-15 repetitions. Physical activity that produces an impact or tension force on bones, which promotes bone growth and strength. Examples include running, jumping rope, and lifting weights. 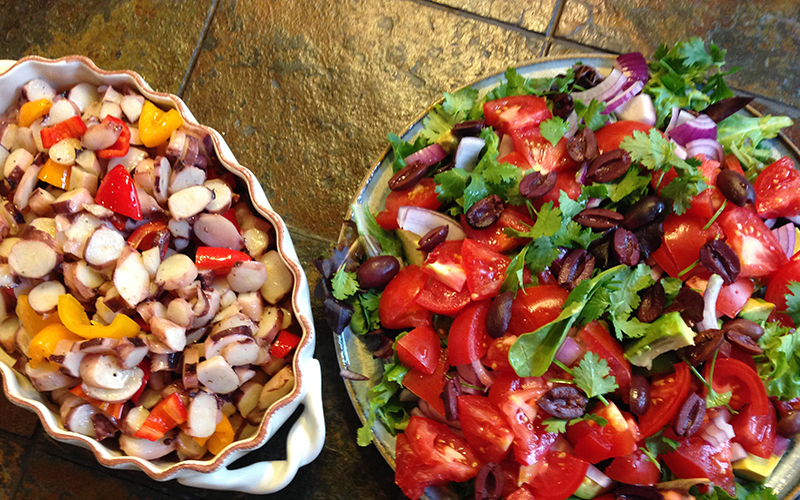 Ever heard of the ketogenic diet, or the Mediterranean diet? We’re pretty sure you’ve heard of at least one, and at least a person you know is on the other diet. 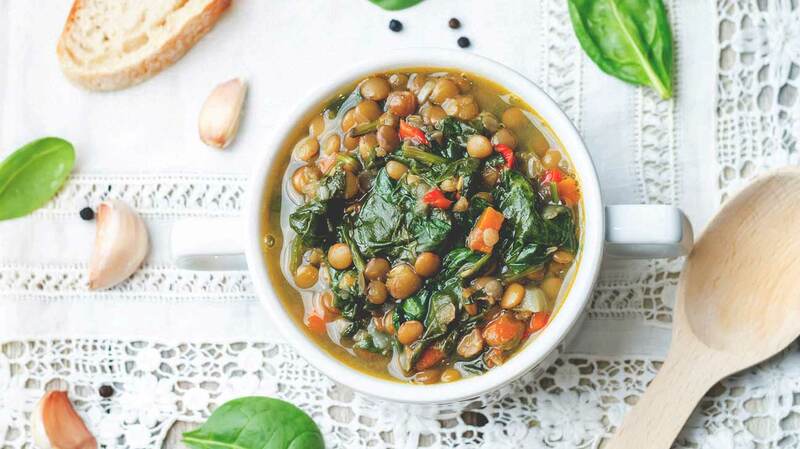 These diets are made popular by celebrity nutritionists, Hollywood A-listers who swear by them, and some local fitness influencers who promote them. 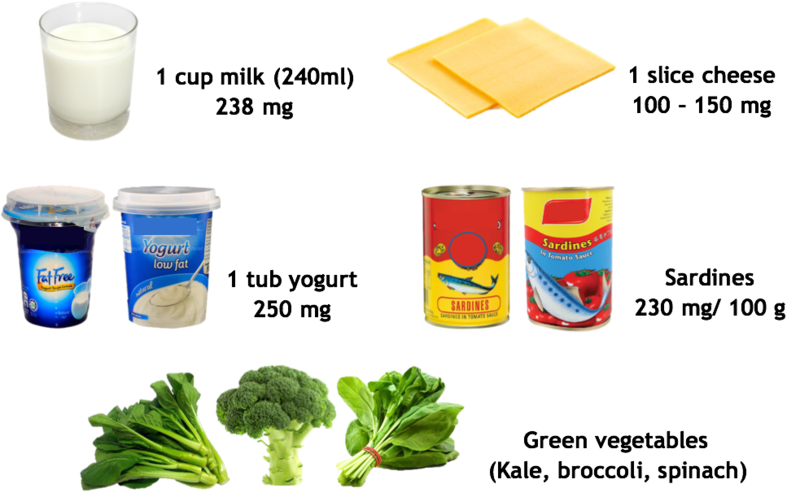 Also known as the Low Carb High Fat diet, going on a ketogenic diet means you’ll be eating very little carbohydrates, but more fats. 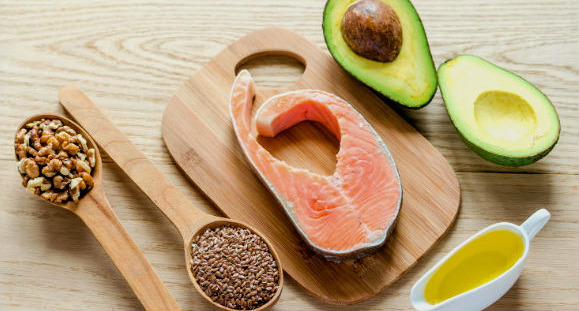 No rice and pasta, but more healthy fats like avocado, butter, and flaxseed. 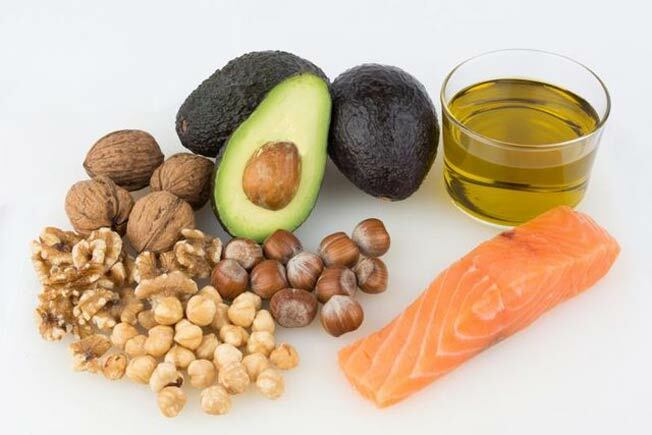 This might sound odd to many as we are used to thinking fats are unhealthy and should be reduced in our meals; whereas carbs should be consumed more as they provide the body with energy. Actually, fats can be a source of energy too; but our bodies don’t use them because of the amount of carbs we consume. Thus, this results in our bodies suing carbs for energy, while also storing the unused fats. By lowering our carbs intake, the ketogenic diet forces the body to produce ketones – the product from the breakdown of fats. The body then burns ketones to provide us with energy. Suitable for: Most adults, unless you are pregnant or breastfeeding, have chronic diseases, or have a BMI below 20. Short for “paleolithic diet”, it’s also nicknamed the caveman diet because it means only consuming food that Paleolithic humans ate. This means lots of fruits, vegetables, and meat, but no cheese, grains, and coffee. 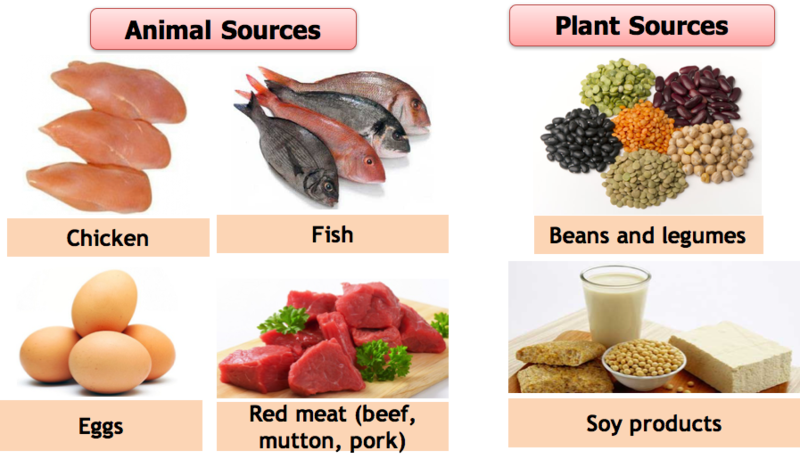 It is believed that the the types of food our Paleolithic ancestors consumed are ones that are genetically suitable for us. Going on a paleo diet means cutting down on food made from grains, processed food, and dairy products. This is different from the ketogenic diet because you are supposed to consume carbs for the paleo diet. However, instead of getting carbs from rice and bread, you’re getting it from vegetables like sweet potatoes and pumpkin. The good thing about this diet is that you will not be consuming any processed food at all, which can improve your health greatly. The paleo diet also requires you to be more active, so you’ll be hitting the gym more often and getting stronger too. Suitable for: Everyone, unless you have heart, kidney, liver, and pancreatic diseases. 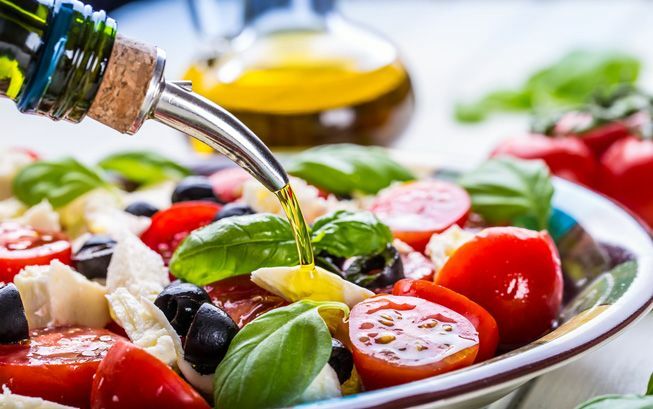 Known for being good for heart health, the Mediterranean diet involves eating food items commonly used in Mediterranean cuisines in the 1960s. This means a lot of fruits, vegetables, nuts, fish, and dairy products; but very little red meat, and no refined sugar and oil. This diet is famous for having lots of health benefits. The selective intake of proteins ensures the body has very low levels of what is commonly called “bad cholesterol”. It is also linked to cancer prevention. 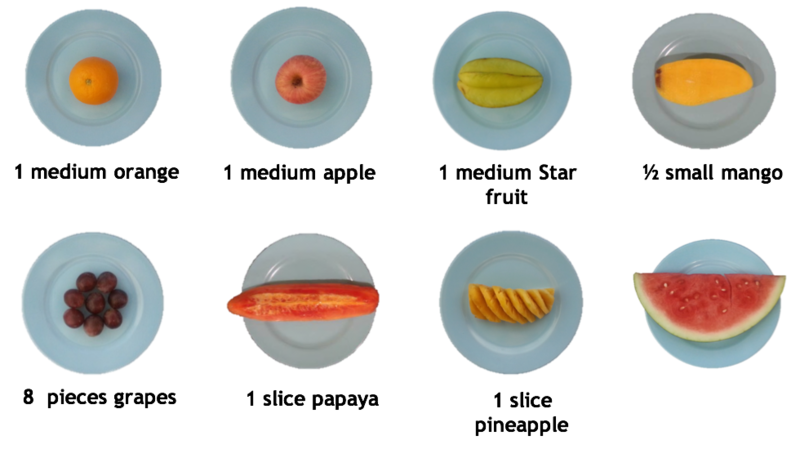 Following the macrobiotic diet may be difficult. It focuses on eating locally grown food that are in season, whole grains, and fresh seafood; but no dairy, poultry and other types of meat. Oh, and no spicy food. We can hear you groan already. Besides the food selection, this diet plan is strict even when it comes to how you eat your food. You are supposed to chew your food well and eat regularly. You also need to have a positive outlook in life and exercise regularly. This is why people who follow this call it a lifestyle instead of a mere diet plan. Suitable for: Anyone. People who are allergic to seafood can substitute it with other types of vegetables. It’s difficult to say which is the best diet as each one has its own pros and cons. You should not eat too much of any type of food, as too much of something is never healthy for your body. Regular exercise is also the key to a healthy lifestyle, and even more so if you want to lose weight. It’s advisable to consult a nutritionist or dietitian first before starting any of these diets as some of them may not be suitable for your health condition or body type. 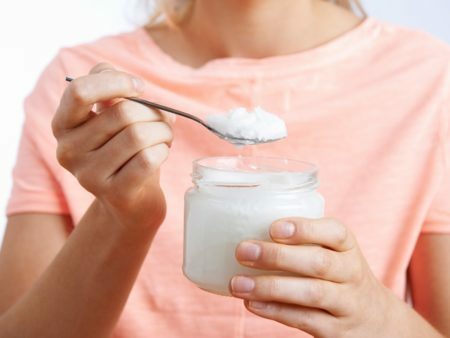 SO… IS COCONUT OIL ACTUALLY GOOD OR BAD FOR YOU? 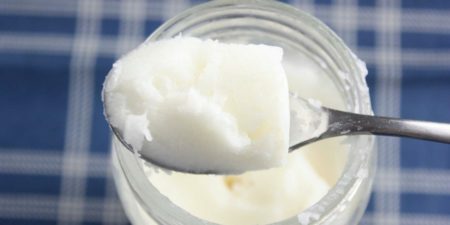 A research citing coconut fats as being more unhealthy than butter went viral recently. 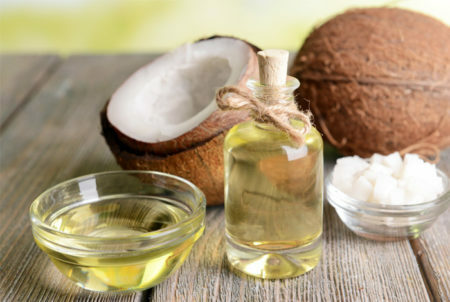 Published in the Circulation journal by the American Heart Association, the research blames saturated fats for causing cardiovascular disease – and coconut oil contains 82% of it. This then makes coconut oil seem more unhealthy than butter and lard. The research has since attracted a lot of positive and negative comments. Health conscious people are also in a dilemma regarding the status of coconut oil – is it actually good or bad for health? The saturated fats in coconut oil is able to boost ‘good’ cholesterol in your body. High-density lipoprotein, commonly referred to as HDL, is a cholesterol particle that can remove ‘bad’ cholesterol from your body. Having a high amount of HDL in your body means that your chances of getting heart disease is lower. Antioxidants are commonly found in fruits and vegetables – and coconut has lots of it. These substances have proved to be good for your heart, prostate, and skin. They can even boost your immune system. Not all the cholesterol (fats) you get from coconut oil are good. There’s the ‘good’ HDL cholesterol with every scoop, but there’s also the ‘bad’ low-density lipoprotein (LDL) in it as well. High amount of saturated fats in your diet will also increase the amount of LDL in your body, which will put you at risk of heart diseases. 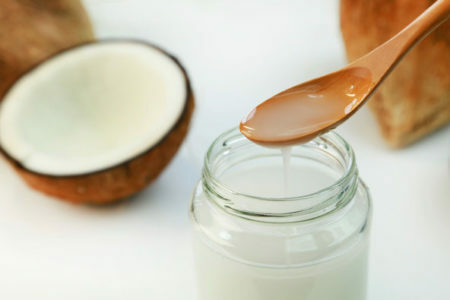 Coconut has high calories, so too much coconut oil isn’t good for your body as well. When your body has too much calories than it can burn, it’ll store them in fat cells. That will lead to weight gain and an increase in body fat, which may put you at risk of heart diseases, diabetes, and certain types of cancer. So… should we still consume coconut oil? As the saying goes, everything should be in moderation. As much as something proves to be healthy, you should not be consuming it to the point of excess. The same goes to coconut oil – including a bit of it in your diet can do wonders to your body; but too much of it might result in the opposite. BAD CALORIES, GOOD CALORIES - KNOW THE DIFFERENCE! It’s important to maintain a balanced diet during Ramadan. Here’s some tips to keep yourself healthy during the holy month. There may be a risk of getting dehydrated if you don’t drink enough water before or after fasting and that could be the toughest part during ramadan. It’s important to drink enough water to keep your body functioning or else it will lead to dizziness, headaches and fatigue. As much as we love coffee or tea, these drinks have to be avoided because they contain caffeine and it causes flush from our body which then increase thirst. 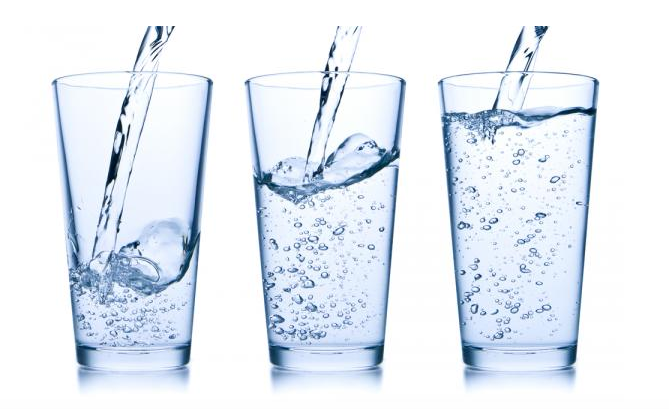 Remember to drink at least 2 to 3 glasses of water before your fasting begins. 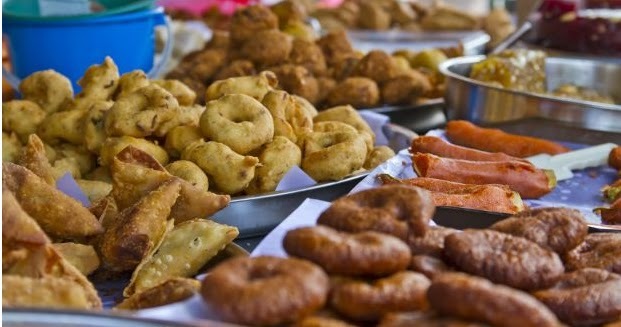 Junk food or fried food are tasty which makes you overeat. Junk or fried food are either too salty, too sweet or too spicy but hardly contain any nutrition, they’re also difficult to digest which can lead to various health problems. Instead of having oily parathas or samosas for suhoor, go for a whole wheat roti with some fruits as alternative. 3. Stay Away from Sugar! 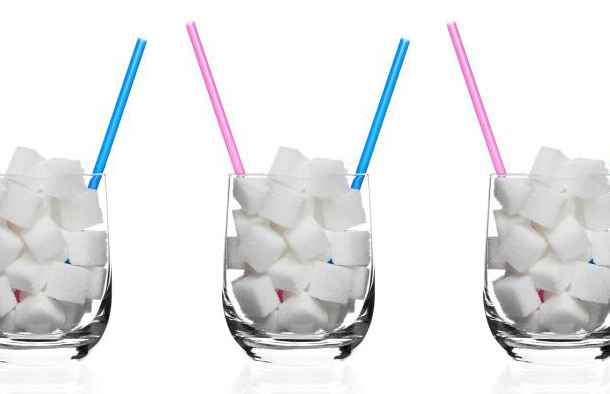 Sugar causes dehydration and makes fasting even more difficult. Sugar gives empty calories without nutritional benefits and will also lead to overeating. They’re slower to digest hence keeping you filled up. Including fibre in your meal keeps your gut moving. 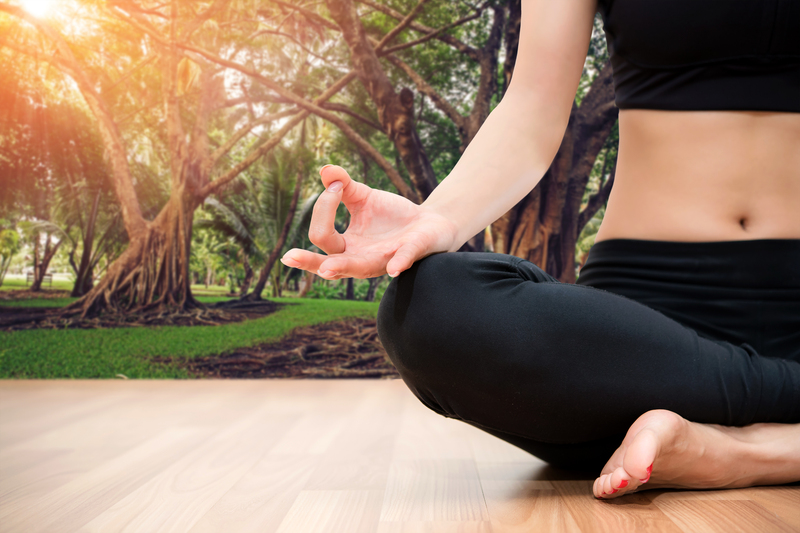 Consider something like yoga when you’re fasting. By doing it allows you to stretch, relax and meditate during your exercise. If you’d like to work out or do cardio, consider doing so after you break fast.  Did you know that 75% of doctor visits can actually be treated online?